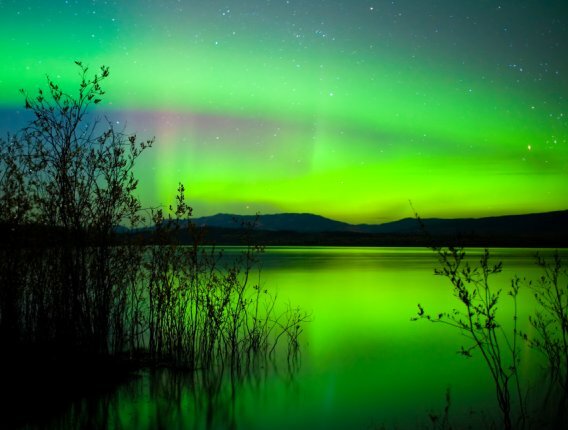 NOAA Issues Magnetic Storm Watch -- Northern Lights Show Possible. 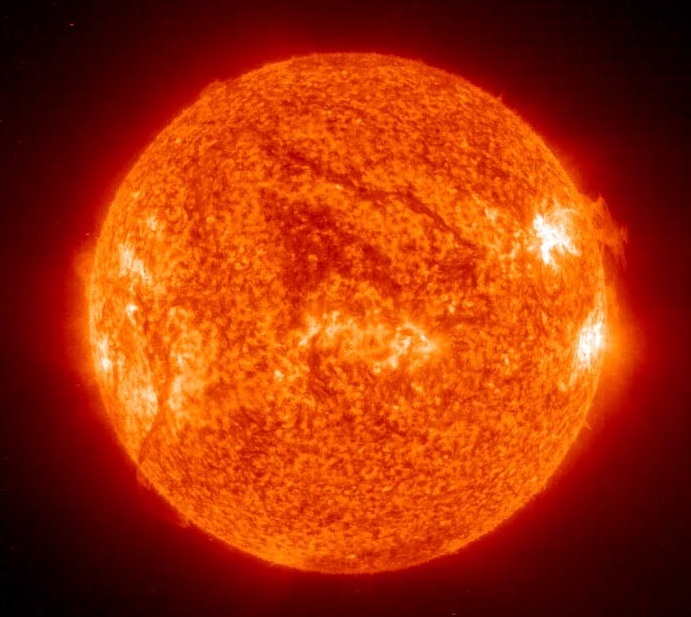 The National Oceanic and Atmospheric Administration (NOAA) Space Weather Prediction Center has issued a 24 hour minor magnetic storm watch indicating a Coronal Mass Ejection (CME) or a high speed solar wind stream emanating from the Sun may be heading towards Earth. These fast moving charged particles can cause a Northern Lights display. The watch begins at the time indicated above. It should be noted that the beginning of the storm watch does not necessarily predict the arrival time of the aurora-causing particles, rather it indicates that, within that 24 hour period, increased activity is expected. Real-time Aurora Borealis forecasts can be obtained at the Aurora Borealis Forecast page at Soft Serve News. NOAA estimates the CME or a high speed solar wind stream currently headed towards Earth might produce a Kp number of 5 (minor storm), but that's never fully known until it hits Earth. Minor storm watches such as this one imply a harder-to-predict, glancing Earth blow and historically only attain the 5 Kp mark 50% of the time. The other 50% of the time the storm does not reach that level. Stronger CMEs can sometimes cause trouble for satellites and create problems with electrical grids by inducing currents as the CME cloud interacts with the magnetic field that surrounds the earth. It is this disturbance of the Earth's magnetic field that causes the Northern Lights. NOAA indicates that weak power grid fluctuations may occur.